New York, NY: If you’re free this coming Sunday, May 2nd, Editors Cyrus Patell and Bryan Waterman are celebrating the publication of The Cambridge Companion to the Literature of New York at the Bowery Poetry Club and Café – starting at 8pm. Local contributors will be reading from their chapters and contemplating the idea of New York literature, past, present, and future. Featuring: Betsy Bradley (previously featured on TSotP here) on Knickerbocker NY from Irving to Wharton, Caleb Crain on highlife/lowlife in the 19th century and Daniel Kane on 1970s poetry and punk rock in the East Village. Bar on hand and books for sale! You can find out more about the event here. And while we’re on the subject, meet two of the aforementioned contributors: Caleb Crain, author of “The Early Literature of New York’s Moneyed Class” and esteemed blogger at Steamboats Are Ruining Everything and Daniel Kane (author of “From Poetry to Punk in the East Village”). The Brooklyn-based writer Caleb Crain is the author of “The Early Literature of New York’s Moneyed Class,” a chapter in our Cambridge Companion to the Literature of New York that looks at narratives of New York high life from the mid to late nineteenth century. 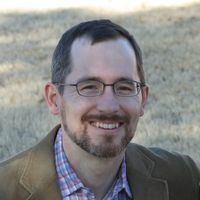 He is also the author of the 2001 book American Sympathy: Men, Friendship, and Literature in the New Nation (Yale UP) and a frequent contributor to such publications as The New Yorker, The New York Review of Books, The London Review of Books, The Nation, the New York Times Book Review, and The New Republic. He maintains the weblog Steamboats Are Ruining Everything, from which he has selected a number of pieces in the print volume The Wreck of the Henry Clay (2009). Caleb’s piece for the companion could alternatively been called “High Life, with a Glance at the Low,” since he includes a significant treatment of the sunshine/shadow dynamic that structured many accounts of nineteenth-century New York City. But as fascinating as the lower depths were to armchair slummers in the nineteenth century, readers then as now also loved to peek into the world of New York’s elite. 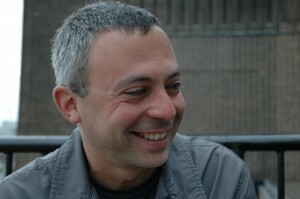 Daniel Kane, who contributed the chapter “From Poetry to Punk in the East Village” to the Cambridge Companion, received his doctorate in English from New York University. He is currently Senior Lecturer in American Literature at the University of Sussex. He is the author of All Poets Welcome: The Lower East Side Poetry Scene in the 1960s (2003); a volume of interviews, What Is Poetry: Conversations With the American Avant-Garde (2003); and, as editor and contributor, Don’t Ever Get Famous: Essays on New York School Writing after the “New York School” (2006). Last year, Daniel published a volume of poetry entitled Ostentation of Peacocks (2009) and We Saw the Light: Conversations Between the New American Cinema and Poetry (2009), a study of the relationship between avant-garde poets and filmmakers in the 1960s. Film theorist Tom Gunning calls We Saw the Light “explosive and revelatory, as Kane bobs and weaves through films and poems, politics and sexuality, enmities and passions from Anger to Brakhage, Ginsberg to Ashbery, providing not only a sense of history but breathtaking readings of the ways films and poems interbred and crashed against the repressions of American society, turning the fifties into the sixties and beyond. Few books combine such scholarly detail and insight with such passion and humor.” Daniel is in New York this spring to promote We Saw the Light.